It's Friday, and nothing gets me more excited than thinking about upcoming weekend plans. A few weeks ago (or months? I bookmark things often and forget about them oops), I read a great article over at Fodor's about an Italian tradition that takes place right in the sweet spot of a Friday -- Happy Hour. 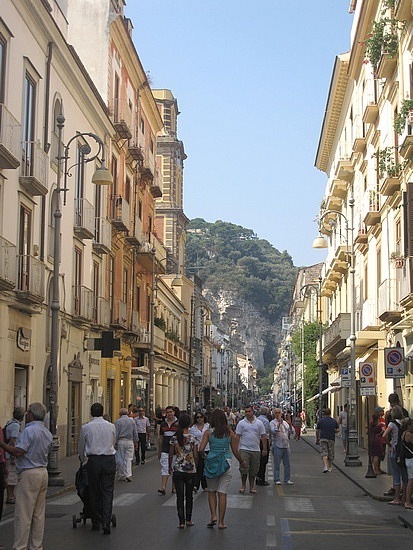 In Italy, though, La Passeggiata goes beyond just socializing out in the plazas. Young girls of marrying age take advantage of this dusk tradition to flirt about and meet respectable suitors. It's like Cotillion, but all grown up. On the weekends, this is THE social event in their country. 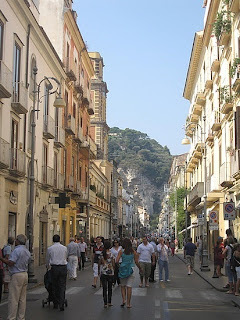 Tonight, or this weekend, keep La Passeggiata in mind while you make your plans. It's perfect weather to go mingle (and flirt with suitors?) at outdoor after-work venues like Sweetwater Brewery or TAP. Stretch those social skills and hit up a new place rather than heading straight home. Even if you are already happily paired off or not looking for a relationship, La Passeggiata is also all about staying in touch with friends and meeting new ones -- make the most of your weekend evenings!